UPDATE: Dr. Patrick Moore, Co-founder of Greenpeace, Co-Chair of the Clean and Safe Energy Coalition and Honorary Chairman of Environmentalists for Nuclear Energy Canada will be replacing Dr. Hans Blix, who had to cancel his participation. 11 March 2012 will see the one-year anniversary of the Fukushima Daiichi nuclear disaster in Japan. Debating Europe, with our partner think-tank Friends of Europe, will be holding a live head-to-head debate between Dr. Patrick Moore, Co-founder of Greenpeace and Co-Chair of the Clean and Safe Energy Coalition, and Jo Leinen MEP, Member and former Chairman of the European Parliament Committee on the Environment. Jo Leinen has been a prominent spokesperson in the past for the German anti-nuclear movement, whilst Patrick Moore has argued that nuclear is relatively environmentally clean, safe and necessary. What do YOU think? We’ve already taken some of your questions from this post, and we’ll put them to Dr. Moore and Jo Leinen during the live debate. You can continue the debate in the form below (click here). The event will also be streamed live online at www.debatingeurope.eu on 7 March between 18:00 and 19:00 Central European Time (CET). 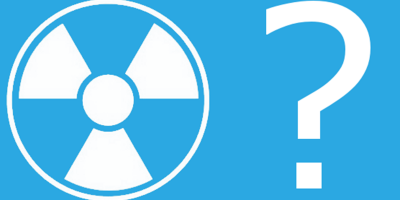 Let us know the reasons why you think nuclear energy should be abandoned, or why it still has a future. The cost to benefit analysis shows that atomic energy is still one of the best way to provide energy. The risk of a catastrophe is present as recent events show, but this should only help us realize what requirements are needed when we build/maintain such energy plants. Atomic plants should be build to last and to be as safe as possible. 1) Will the 150 aging nuclear power plants in Europe be replaced faster than they will be switched off? want to demand that reactors should be operated for more than 50-60 years. 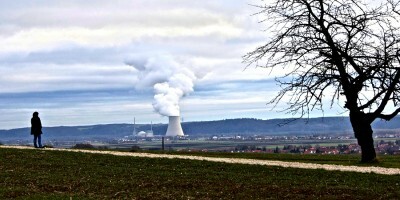 for European nuclear power plants will come from? the presumed increased demand by China, India and Russia during the coming decade(s). reactors before uranium supply countries and contracts for Europe are assured. I would not exclude nuclear energy from a future agenda..But we really need to be very careful about its side effects and dangers….Hopefully we have learned from past mistakes or the mistakes of others (Russia, Japan) otherwise if we are not suitable for it let’s forget about it and focus on renewable energy…For the moment I vote “YES” but I am partly still sceptical until I listen to the debate and hear more about it… Looking forward to it…. Europe has the best green technology in the world. Consequently using this technology Europe can gain a danger free and environmental friendly power supply enough to substitute the nuclear energy. It is very expensive but not in the long run. These projects create thousands of jobs as well as economic growth in general. Is Europe ready to proceed with such long term investments? Why are not funding more R&D to research “Cold Fusion” which is a safer way to produce atomic energy? The investment resulting in upgrading/replacing nuclear facilities will result in short term to medium term job creation and long term job creation for specialists in the emerging field so how is this not attracting more investment? The biggest problem that arises when using solar and wind power is that it’s a fluctuating energy source. Solarpanels and windmills don’t provide a constant energy source. When the energy they deliver is too high, it has to be cut off and the energy is lost – when the energy they deliver is too low the power needs to come from somewhere else. In order to completely rely on green energy, we have a long way to go – technologies to deal with the fluctuating nature of solar and wind is simply too expensive or impossible as of today. I think we will need nuclear energy while we make the transition from burning gas/coal to complete renewable energy. And this transition could take very long. Current developments are intended to address the disadvantages of nuclear energy and will sustain progress in nuclear power technologies. •	Thorium, by weight, can produce as much energy as 200 times that provided by the same amount of uranium and 3.5 million times that of coal. It is far more plentiful than uranium, does not process into a nuclear weapons grade product and could quickly wean the world off oil. •	Miniature nuclear reactors, no larger than hot tub, could provide electricity power as soon as 2020. Measuring about 1.5 meters across, a mini reactor can power about 20,000 homes. In addition, the reactors are inexpensive to build and transportable. •	“Generation IV” nuclear energy is a collection of nuclear reactor technologies that could be implemented by 2030 and present significant improvements in economics, safety, reliability and sustainability over current Generation II and III reactor technologies. •	Reprocessing of nuclear waste could enable partial reusability of the fuels, extending the sustainability of the reserves substantially. The cradle to cradle methodology should become a permanent motivation. •	Currently there is a seven national party project that has initiated the construction of an experimental nuclear fusion reactor project. If all goes according to plan, officials hope to complete a demonstration fusion reactor at Cadarache, France, by 2040. Fusion reaction energy would use common seawater to generate clean energy in virtually unlimited quantities. Prominent environmentalists around the world strongly support clean nuclear electricity as an essential and safe source of energy in spite of Fukushima, such as James LOVELOCK (author of the Gaia theory, considered as the father of environmental thinking since the 1960s), Patrick MOORE (cofounder of Greenpeace in 1971), Stephen TINDALE (also a former executive director of Greenpeace) and Bruno COMBY, famous French environmentalist, author of 10 environmental books, founder of EFN, Environmentalists For Nuclear Energy – http://www.ecolo.org which gathers over 10 000 members and supporters in 60 countries. The great tsunami in Japan killed more than 20 000 but none of these victims has died from radiation exposure. Only a dozen rescue workers in Fukushima were exposed to doses of radiation above authorized limits, all of them below radiation levels that cause acute radiation sickness (none of them has died from radiation). The civilian population inside the 20 km zone was evacuated in due time before the major releases started on March 15th and the following days. One year later, the radiation doses inside the exclusion zone have now much decreased since the accident (the half life of iodine 131 being 8 days) and are now largely inferior to natural background radiation levels in nature in some parts of the world where the populations enjoy a healthy life (50 to 150 microSv/hour measured in Ramsar near the Caspian sea or in Guarapari/Brazil). The damaged reactors are now in a safe cold shutdown state. Therefore most of the evacuation zone around Fukushima NPP could be re-inhabitated soon. 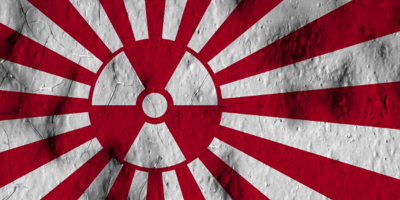 Fukushima was greatly overplayed as a scare-story by the media. In order to bear due respect to the victims of the great tsunami, the focus should not be on the nuclear accident in Fukushima but more generally on the great tsunami and its larger consequences on the Japanese society. There is something indecent in focusing so much on the nuclear aspect when in fact no one has actually died from radiation exposure after the great tsunami struck the Pacific coast of Japan. Indeed, there are great benefits to the use of clean nuclear power : it emits no greenhouse gases (or almost none, as renewables) and it provides plentiful and affordable energy. This was true before Fukushima. It is still true today. The important environmental, scientific and economical reasons which were the driving forces behind the nuclear renaissance before Fukushima are still valid today. Indeed, the nuclear renaissance is still on its way. Apart the lonely case of Germany and a small number of European countries, all the important nations around the world have confirmed their nuclear programs (USA, China, France, India, UK, Russia, Canada…) have seized this chance to reinforce the already very safe nuclear safety standards, after performing stress-tests and learning the lessons to be learnt. 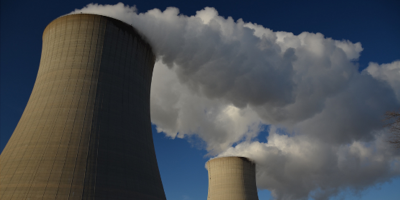 These numerous countries are now moving forward with their plans to build new nuclear plants. When gas and oil will be exhausted in few years from now, we will still need an abundant and clean source of energy, even if we intensify energy conservation, build and operate all the renewables we can. A low carbon lifestyle, energy conservation, eco-construction, electric cars certainly can help and should be encouraged, but they will not suffice. Only nuclear power is safe, environmentally friendly, affordable and reliable to ensure the survival of our civilisation in a world without oil and gas in the future. These very solid arguments are still true today. Yes, nuclear energy still has a future ! Has a serious, thorough independent study ever taken into account all the costs connected to nuclear power (i.e. uranium costs, waste disposal, commissioning, dismanling, security, besides all the potential threats to health and safety). Are these costs, and the final cost of electricity, really much lower than those linked to a structural and diffused use of renewables? The unpredictable will always to be taken into account with nuclear power. How much did 1 mistake cost to Japan? resources than can actually be exploited. Thus, soon there is simply not enough uranium to keep on going with European nuclear. In addition without the construction of new reactors there is only one way forward: the slow (or faster) phase out. I noticed that in the introductory words of the programme, you say that nuclear plants are continued to be constructed in Europe in Czech Republic, Romania and Bulgaria. However, no mention is made of the 3rd generation EPR plants under construction in two other European countries, namely Finland and France. These will without doubt move forward the related technologies, security levels, efficiency and therefore the acceptability of nuclear energy once these plants are on stream. Unfortunately, the plant in Finland has had a tough ride due to teething problems of this new generation plant, which involves unprecedented integrated measures of security, which obviously require top-quality construction on the site. And here it is noteworthy, in the positive sense, that the national surveillance authorities have taken a justified, stringent approach to keeping the high standards set in the specifications. At the end of the day when the commercial discussions following cost over-runs and extended delays have been concluded, both the future user of the plant as well as the contractor(s) should be satisfied with the outcome, since a plant that will produce safely and cost-efficiently energy will be beneficial for both sides. So what can we learn from this? Certainly that nuclear energy is a domain which necessitates high-level knowledge from those involved in it, but especially integrity and high moral standards. The as yet most disastrous accident in Tschernobyl and the most recent one in Fukushima are cases which would never have happened if the above requirements would have been met. For example, in Fukushima an accident caused by tsunami was due to come one day, since the protecting wall was clearly under-dimensioned and this was known by the experts! I would like to see a realistic estimate of how much it will cost us to build a reliable system based on renewables and how long it will take. What will be the price of a kWh of energy from renewables, compared to the nuclear? What happens if china decides it will not export the rare metals required in production of the, say, solar panels or wind turbines. What happens if people start using electric vehicles on large scale? Will we rely on renewables and use the electricity only when the weather conditions allow us? Will we convert massive amounts of land into wind farms? Will we build power grids 6x overdimensioned just to be able to take all the energy generated at favorable conditions? After all, will we continue to support chinese slave labor in solar panel factories? THE energy future of europe is RENEWABLE. Period. Nuclear may have a place in europe, but not center-stage; and Europ will pay deerly bad energy options in the future, just like we are now paying for the bad energy options of the past. Neither Cision nor Fission nuclear were ever brilliant ideia. Oil was an even worse ideia and shutting down the coal mines at the precise time when Oil dependency was inscreasing was not the intelligent thing to do. The energy options of europe in the 1970s are part of the motive for the last 30 years of high unemployment in Europe. We should have went green back in 1973. We didn’t. We are paying the price. And we will keep paying the price unless we make the right decisions. how do we know if renewable’s will restore 100% energy though? 15/02/2017 Maroš Šefčovič, Vice-President of the European Commission and European Commissioner for Energy Union, has responded to this comment. 15/02/2017 Monica Mireles Serrano, Senior Policy Advisor at IKEA, has responded to this comment. 15/02/2017 Francois Sterin, Director of Global Infrastructure at Google, has responded to this comment.